Classic stamps and renowned collections are on the agenda for visitors to Stampex this spring, as the 150th anniversary of The Royal Philatelic Society London (RPSL) is marked with a set of new stamps from Royal Mail and a large exhibit from members of the prestigious philatelic organisation. Founded in 1869 and now the oldest philatelic society in the world, the RPSL boasts thousands of members both in the UK and overseas and the 150th anniversary celebrations will be held throughout the year, starting with Stampex. The show will feature a special exhibit from members featuring stamps and postal history on the theme of HM King George V, who was the Society’s first Patron. Meanwhile, the book Members’ Collections 2019 will be launched at Stampex. The fundraising publication will provide a permanent record of what and how members collected philatelic material in 2019 and comprises contributions from 200 members. Royal Mail are joining in the ‘RPSL 150’ celebrations with a special set of stamps recalling some of our most popular and collectable stamps. The ‘Stamp Classics’ set of six recreates a classic stamp from each reign going back to Queen Victoria, and visitors to Stampex International will be able to purchase a limited edition overprint of the ‘Stamp Classics’ miniature sheet featuring the Stampex logo and dates. The mini sheets will be individually numbered and are set to be limited to 6,000 copies, making this one of many ‘must-have’ items on offer. Of course, a host of trusted dealers will be offering rare material too, with something for everyone and every level. No doubt thousands of pounds will be changing hands as visitors add to their collections, indeed, at the last Stampex it was reported that Mark Bloxham Stamps Ltd sold a much sought-after ‘Penny Mulready with Bright Violet Maltese Cross of Market Street’ worth an impressive £30,000. Whatever your budget you’ll find plenty of items to add to your collection, and the organisers are also inviting visitors to donate a stamp or two for a new charity campaign. Stampex will see the launch of a ‘Donate a Stamp’ campaign to encourage collectors to donate stamps in aid of the Macmillan Cancer Support throughout 2019. Visitors are invited to bring in their unwanted stamps to donate to the good cause. In addition to the ‘Stamp Classics’ collectable, a limited edition Smilers Sheet will be available from the Information Stand (Stand #117 at the front of the hall on the ‘Village Green’ area), featuring ten 1st Class stamps alongside labels each featuring a rare British Commonwealth stamp, including classics from India, Ceylon, and Bermuda. A limited edition Stampex postcard will also be given away upon entry. 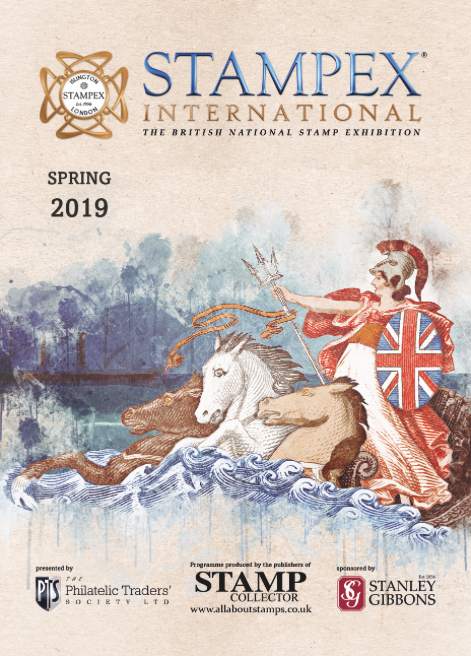 In addition to the RPSL exhibits, Stampex will once again host the ABPS National Exhibition featuring all classes including Open Philately, Picture Postcards and Ephemera (see the full list of exhibits in teh Stampex catalogue - included with the March 2019 issue of Stamp Collector). If you’d like to have a go at exhibiting yourself then take a look at the ABPS website for forthcoming exhibits and don’t miss the ‘Stamp Showcase’ article in every issue of Stamp Collector magazine. Youngsters attending Stampex should make their way up to the Gallery Bays 14 and 15 and to the Kids Corner run by Stamp Active Network. The Kids Corner will be a hive of activity throughout the show, with ‘Britain at War’ as the chosen theme. Fun activities and the Saturday auction will keep younger collectors occupied! As ever, specialist philatelic societies will meet at Stampex. While the meetings give members a chance to share their latest finds, non-members are very welcome to attend, so do pop by and find out more about these vital organisations. 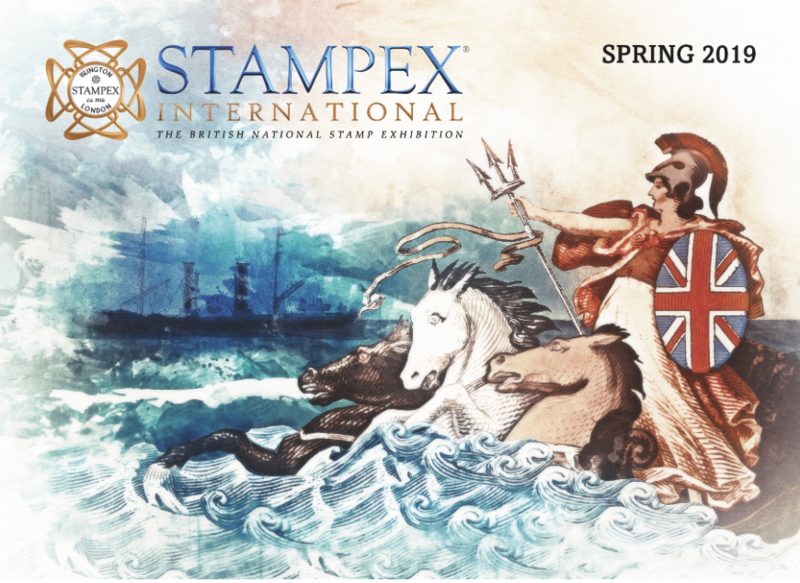 The official Stampex International show guide is included with the March issue of Stamp Collector magazine, which also comes with a set of five limited edition postcards. Order the issue right here (with free UK Postage) today!